The new stable version of Opera 48 has finally released with new and improved features, and it is available on Windows, Mac and 64-bit Linux platforms. What’s new and improved in Opera 48 Stable? One of the highlights is the search pop up tool with currency converter (now enriched with unit and time zone converters). This tool makes it easy to translate measurements on the spot. Users can simply highlight the text on current page and the automatic pop-up window will appear. Choosing Search in the box will bring you to a separate browser tab which displays the result using currently selected default search engine. The currency, unit and time zone conversions are available alongside with the Search, Copy and Share options in the little pop-up window. And it should be noted that the "share" functionality of the search pop-up tool only works on macOS. The browser interface and main menu have been reorganized. Opera 48 adds a new screenshot capture tool for web pages, cleaned up menus, the support for bookmark-importing tool in Edge and Yandex browsers, as well as the option to remove unwanted autocomplete suggestions in search and address bar. The new snapshot tool can be evoked via the Menu > Snapshot, the sidebar (camera icon) or the keyboard shortcut (Ctrl+Shift+5 on Windows and Linux; Apple+Shift+5 on Mac). When this feature is triggered, you can resize the selected part of the screen as required, or choose Capture Full Screen to capture the entire browser window. The captured image will be copied to the clipboard and saved in PNG format. Opera 48 Stable comes a few day after the release of Opera Developer 49, and both of them are available to download for free. Existing users can install the update from the Opera browser itself - just open the Opera menu and choose About Opera. Opera will automatically check the version as the page loads and download the update it finds. If your Opera cannot be updated by this way, you can manually download Opera browser and install it to replace the previous version. Yet if you still encounter problems, try to uninstall the older one and then perform a fresh installation. Related info: How can I properly uninstall Opera? To remove problematic Opera is quite easy for Mac users. Typically you just need to open Finder, locate Opera in /Applications folder, and delete it to the Trash. Then emptying the Trash will instantly swipe out this app from your Mac. The more important question is: how to entirely get rid of Opera components? Opera app can be easily removed, but its traces may still linger around the system. To guarantee a fresh installation, you will need to detect and delete those app leftovers. 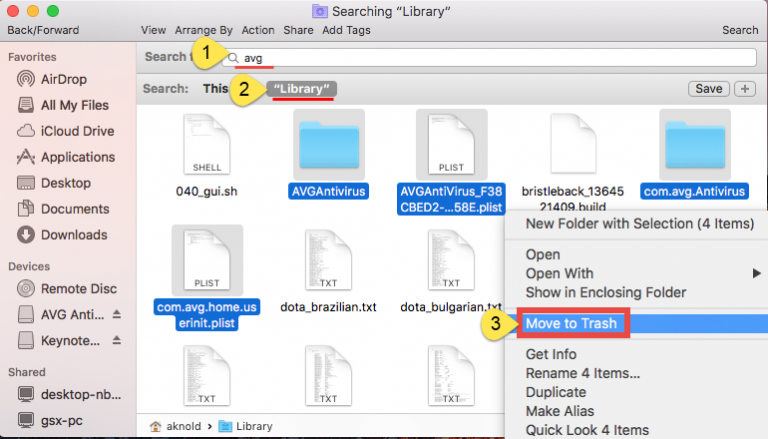 To do so, open Finder, head to the Go > Go to Folder, then type Library in the box and hit Enter key to open up this hidden folder. Now you can utilize the Search feature in Finder to locate the items that contain the app name in Library and ~Library folders. Have no clue how to fully delete AVG Antivirus for Mac? Tried the standard way to uninstall AVG Antivirus yet ended up with failure? Even experienced users could be troubled by the uninstallation of antivirus/security software. If you are looking for an effective solution to remove AVG products, this post could be helpful for you. What should you know about uninstalling AVG Antivirus? AVG AntiVirus for Mac is a free solution to protect Mac computer against virus, spyware and other kinds of cyber threats. Yet, many users complain that this app slows down their Macs and that it is almost impossible to stop it from automatic launch. In our test, once AVG AntiVirus launches, its process cannot be killed in the background even through the Activity Monitor. And when trying to uninstall this app by the drag-and-drop method, users will be prompted that “The item cannot be moved to the Trash because it’s open”. So how can we remove AVG AntiVirus properly? How to perform proper uninstallation of AVG Antivirus? It is often neglected that that kind of antivirus software usually comes with a dedicated uninstall tool that can be used to effectively remove the app itself. Since the conventional uninstall option does not work so well in removing AVG Antivirus, you can carry out the uninstallation by using the dedicated uninstall tool as shown below. 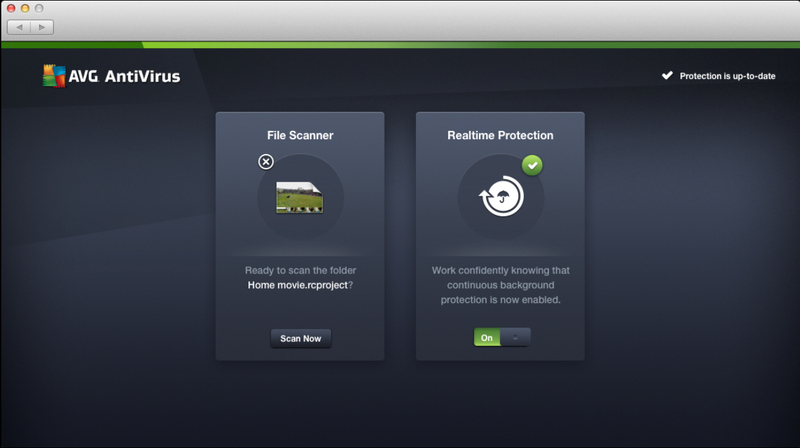 1.Click to open up AVG Antivirus from the /Applications folder or Launchpad. 2.Head to the AVG Antivirus menu bar, and then choose Uninstall AVG Antivirus. 3.Click Continue button in the AVG Antivirus Uninstaller window that appears. 4.After the uninstallation process completes, click Restart button to reboot your Mac. Now AVG Antivirus has been uninstalled from your system, yet some of its components may still remain and hide deep in your system directories. If you want to totally sweep out every trace of AVG Antivirus, please follow the instructions below. 5.Open the Finder, click Go in the Menu bar, and select the entry Go to Folder. 6.Type the path /Library in Go to the Folder box, and hit Enter key to open it up. 7.Type AVG Antivirus in Search Bar, and click on Library in the Search: bar. 8.Identify the matched items in search results, and move them to the Trash. 9.Again, search for and delete pertaining file and folders in ~Library folder. Be cautious when deleting the items with the name of AVG Antivirus. Inexperienced users may have difficulty in finding out ambiguous components of target app, and an automated uninstaller could be a better choice. Anyhow, now you can head to the Finder menu bar and choose Empty Trash, to permanently get rid of AVG traces. Is there a more convenient way to uninstall AVG Antivirus? Wondering if you could spare some trouble in deleting AVG Antivirus? Have you ever thought of utilizing a reputable, efficient uninstall tool in any app removal task? Here we tested Osx Uninstaller to see if this app worked well as it claimed. When using it to uninstall AVG Antivirus, there are only a simple clicks we need to take. Step 1. Launch Osx Uninstaller, select AVG AntiVirus and click Run Analysis. Step 2. Click Complete Uninstall, and then click Yes in the confirmation dialog. Step 3. Click Back to Interface, and then Refresh to re-scan the Mac. 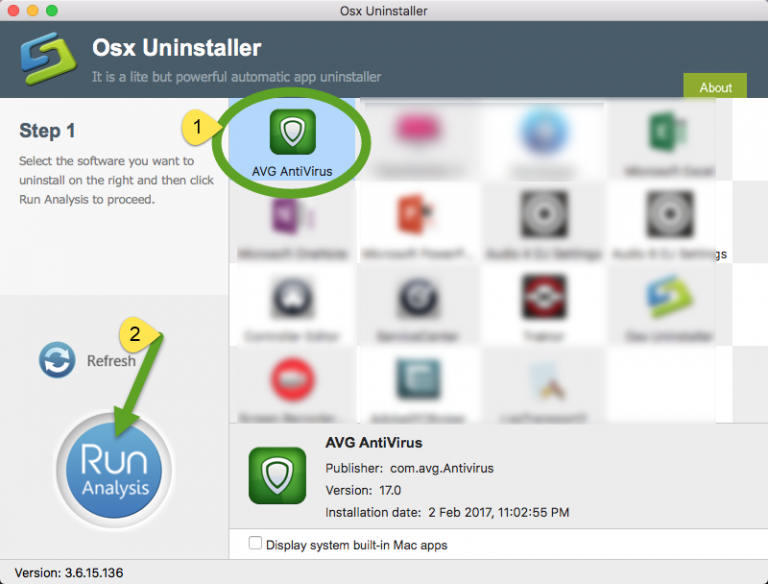 Take 3 simple steps and you will not have AVG Antivirus installed on your Mac. No trace left and no extra work needed to do. Osx Uninstaller gets good mark in this task. There are a lot of tools designed for Mac to quickly remove unwanted apps, and you can choose a reliable one to save unnecessary trouble and guarantee a clean uninstall. Feel free to leave your suggestion about this tutorial, or raise any questions right here. How to Ease Workplace Stress and Anxiety? In fact workplace stress is normal and excessive stress might interfere with your performance and productivity and stress may impact your physical and mental health. According to the studies says that most of the working Americans experience in anxiety and stress at their daily lives. As everyone knows certain amount of the anxiety and stress is normal at home as well as work. But if the stress is excessive, persistent and irrational then surely it may interfere with the everyday functions and sometimes it leads to indication of anxiety disorder. Time management is one of the most important one to reduce the job stress. First and foremost you must create the balanced schedule. If you find out the balance between family life, work, social pursuits and social activities then you can reduce your work stress. You should avoid back to back scheduling in same day and you must know about the difference between must and should. The first thing you must prioritize the task and try to tackle the high priority task and break the project into small steps so that you can easily do your big project without facing troubles. In a technology world most of the job stress worse with the negative behavior and thoughts. You should not set the unrealistic goals because you can do your best so try to set the goal which you can do easily. You should think positive about your work and you must avoid negative thinking coworkers. If you follow certain things then you can control over your career and job such as ask for new duties, request transfer, clarify your job description and take time off. Google recently announced it would soon release an application labeled Backup and Sync to help users backup the files and photos stored on their computer to Google Drive. The new app is likely to replace the Google Drive client and the Google Photos Backup app as it combines both apps’ sync features in a more unified client interface. As the latest version of Google Drive for Mac/PC, Backup and Sync allows users to monitor and backup files present inside the user’s specified folder. For far Google Drive for Mac/PC requires to create a new folder on your computer and all the files in this folder will be synced to the cloud, and therefore you have to first move files into Google Drive folder and then wait for Drive to sync them to the cloud, while the new Backup and Sync tool will be able to backup and sync any file and folder from the Desktop, Documents, Pictures, or other desired directories on your computer. Backup and Sync app will be available for download starting on June 28th for all G Suite editions. Drive for Mac/PC users will be able to upgrade to Backup and Sync, which will be included in the update of Drive and integrated into Google Photos desktop uploader. According to Google, the new version will “respect any current Drive for Mac/PC settings in the Admin console”, to make the transfer seamless. Google added that Backup and Sync is primarily intended for consumer users. G Suite customers are recommended to persist on Drive for Mac/PC until the new enterprise-focused solution, Drive File Stream, is made generally available to all G Suite Basic, Business, Enterprise, Education, and Nonprofit domains later this year. Google Drive is a cross-platform cloud storage services that allows users to store, manage, sync and share their data easily. Free Google accounts have a 15GB online storage, and paid accounts start from $1.99 a month for 100GB to $299.99 a month for 30TB, with the most popular tier currently $9.99 a month for 1TB of storage. In early May the developers of HandBrake (a popular open-source video transcoder) informed an alert that a mirror download server hosting the app for Mac was hacked. The legitimate version of HandBrake for Mac was replaced with a version infected with a variant of OSX.PROTON, a trojan that allows hackers to remotely obtain root privileges in infected computers. HandBrake warned that anyone who has installed HandBrake for Mac needed to verify if their system was infected with the malware. Here is the notification posted on the thread of HandBrake forum: "Anyone who has downloaded HandBrake on Mac between [02/May/2017 14:30 UTC] and [06/May/2017 11:00 UTC] needs to verify the SHA1 / 256 sum of the file before running it". The post further offers detailed steps to remove the malware involved. Besides removing any installs of the Handbrake.app, users should also change their passwords that may reside in the OSX KeyChain or in any browser password stores. Though the affected server has been shut down soon, and Apple has initiated the update of its XProtect definitions to defend against the new variant of Proton malware, some people still got caught by the hacking. On Wednesday, Panic developer and co-founder Steven Frank said in a blog post that much of the source code behind Panic's apps was stolen by someone who utilized the malware-infested version of HandBrake. He inadvertently downloaded the infected app on his work Mac, confirmed the admin privileges request, bypassed the Gatekeeper warning, and then, his Mac was "completely, entirely compromised in 3 seconds or less". As a result, the git credentials had been stolen and used to clone several source code repositories. The attacker(s) demanded a large bitcoin ransom to prevent the release of the source code, and Panic decided to say No to the request after internal discussion. There’s no indication any customer information was obtained by the attacker. Furthermore, there’s no indication Panic Sync data was accessed. Finally, our web server was not compromised. According to the post, the theft of some source code may lead to the malware-infected builds of the company's apps available on the Internet. Therefore, Panic reminded users not to download its apps outside the official website or Apple’s App Store. Panic has cooperated with Apple and the FBI: Apple is now "standing by to quickly shut down any stolen/malware-infested versions of our (Panic) apps", and the FBI is actively investigating. Panic also calls for users to report infected versions of apps, or any related information that could help with the investigation into this incident. What’s your opinion about this security incident? Let us know in the comments.